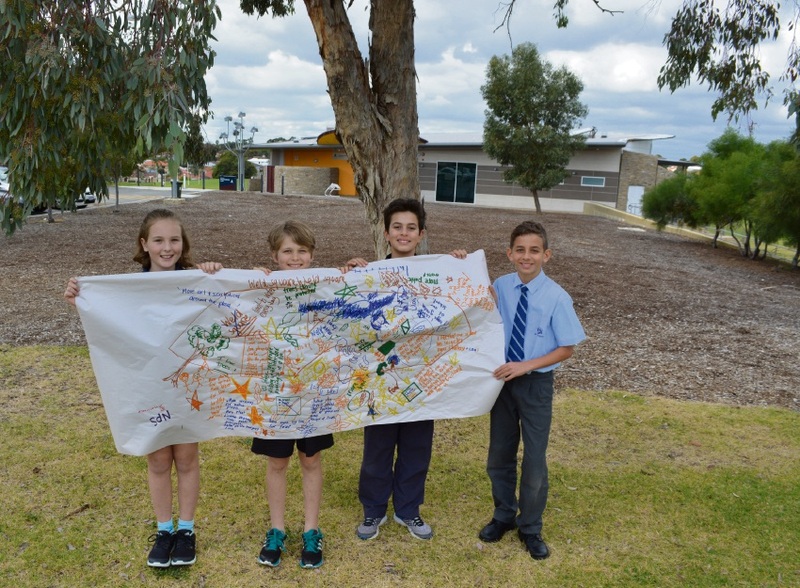 North Morley Primary School student Piper Gage, West Morley Primary School student Sienna Chapman, Yokine Primary School student Arya Meshka Hazrati and St Denis School student Aiden Nicolaou. THE City of Stirling’s next generation of councillors called for more trees and less high-rise houses at an urban forest strategy workshop on June 15. More than 100 students from schools including Warriapendi Primary, West Morley Primary School and North Morley Primary School became councillors for a day at the Tuart Hill Community Centre. The strategy aims to increase tree canopy cover and create more sustainable neighbourhoods in the future. Students learnt about environmental management and formed solutions to reduce tree loss and increase tree planting to reach an average of 18 per cent canopy cover across the City by 2030. North Morley Primary School student Piper Gage said she would like to see more gardens and trees along with less “unnatural” infrastructure. West Morley Primary School student Sienna Chapman said more wildlife was needed in the City. “I want to see lots of trees and for the houses, instead of being so long and tall, there can be the same number of houses but not using as much space,” she said. Mayor Giovanni Italiano addressed the students about his role as Mayor and the importance of tree retention. “It is good to see young children looking after trees; it is really fantastic,” he said. Feedback from this workshop will be used to help inform the draft Urban Forest Strategy. The City of Stirling currently plants 10,000 trees each year, however, more than 1 million sq m of canopy cover has been lost in the last five years, largely due to development on private land.